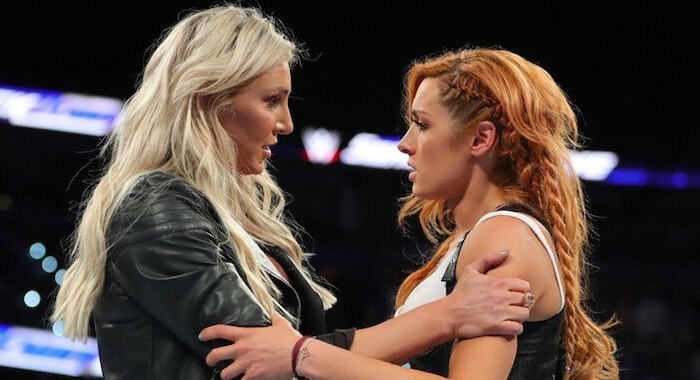 Things have been deeply personal between former best friends Becky Lynch and Charlotte Flair for quite some time now. We’ve seen the two battle in some of the best matches of the year, including a brutal Last Woman Standing match the history-making WWE Evolution pay-per-view, and next Sunday at WWE TLC we will see the former Horsewomen take it to the next level, making history yet again in a Tables, Ladders & Chairs match. On the social media, the two superstars are taking ZERO days off from building up the heat and the hype for their upcoming bout — which also includes Asuka, just to be clear. 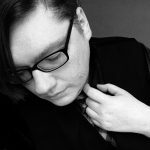 Lynch took to Twitter on Friday afternoon to call out the Queen for recent comments made about her missing Smackdown Live. The Man responded, “Charlotte calling me out on TV and online for missing time. Again, The Man will just provide the truth in the face of lies.” She also included a photo with a photo of her bloodied face with the caption, “I missed ONE Smackdown for this”, next to a photo focussed on Flair’s breasts, that read, “She missed ONE MONTH of Smackdown for something, I can’t remember”.